50 lb bag 56 bags / skid Colors: Beige, Slate Grey, Ivory, Black Diamond. FORMULATED FOR COBBLESTONE JOINTS. Eurostone bond is the first polymeric sand specifically designed for natural stone. It can be used in an application of drainage and non-drainage base systems. 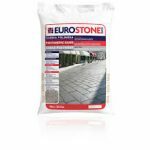 It is perfect for stone roads, piazzas, driveways, pathways & stone apron driveways. 50 lb bag 56 bags / skid Color: Slate Grey. Also available in 2,200 lb super sacks. 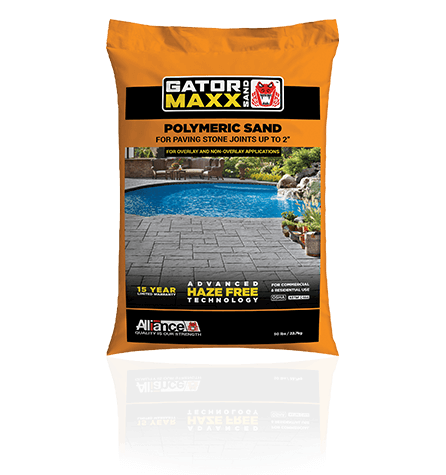 The calibrated gradation obtained from the fractured high-strength granite makes it the ideal product for the bedding course & jointing material to collect surface water run-off and help stabilize interlocking paver surfaces. 50 lb bag 56 bags / skid Colors: Beige, Slate Grey. 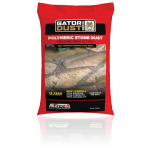 Gator Dust is ideal for joints that are a minimum of 1/2˝ (1.25 cm) to a maximum of 6˝ (15 cm) wide. Fast Setting: min. 24 hours without rain. Does not haze stones. For pedestrian applications only. 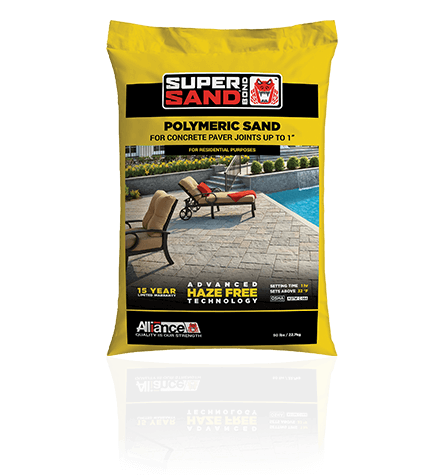 50 lb bag 56 bags / skid 55-85 sq ft/bag Colors: Beige, Slate Grey, Ivory, Black Diamond. 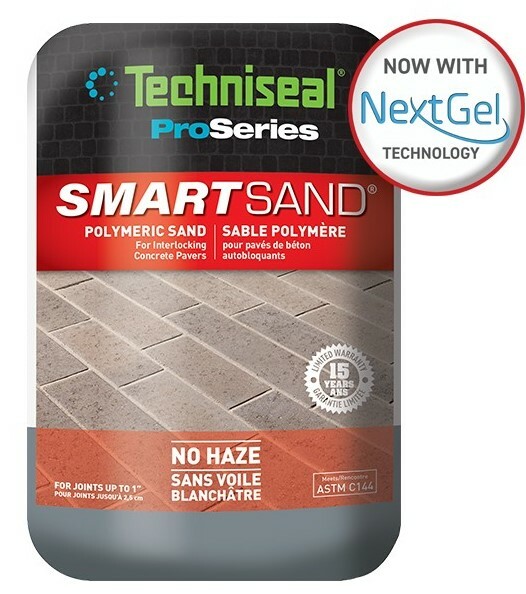 Can be used for joints up to a maximum of 4 inches in drainage application and 2 inches in overlay application, also its ASTM C144 gradation allows use in even the tightest joints.This new generation of Intelligent Polymers neutralizes haze and dust. 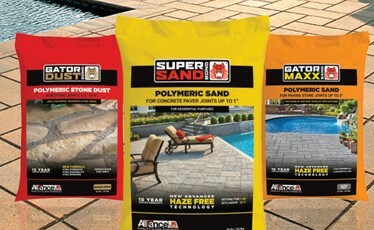 The polymeric sand application is now dust free and haze free. 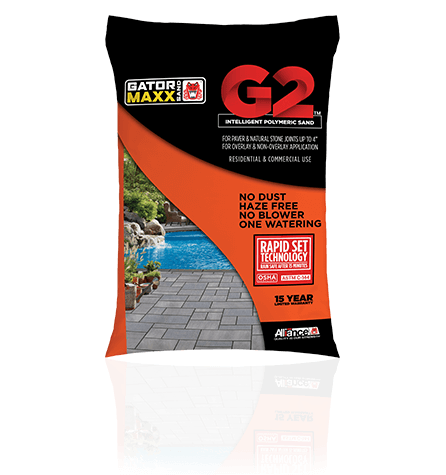 No blower is needed and the intelligent polymeric sand requires only one watering. 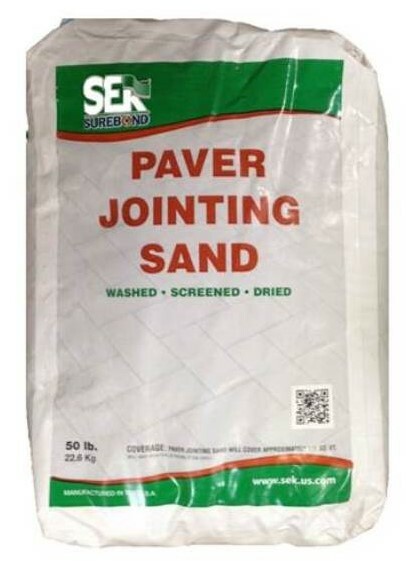 Coverage (Approx) 65-85 sq ft/bag narrow joints. 20-40 sq ft/bag for wider joints. 50 lb bag 56 bags / skid Colors: Beige, Slate Grey. Advanced haze free technology. 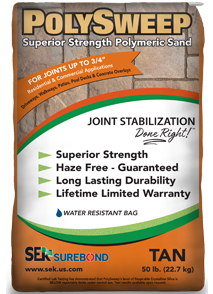 Can be used for joints up to a maximum of 2 inches and its ASTM C144 gradation allows use in even the tightest joints. Fast setting: Product sets within one hour after application of water. 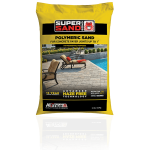 50 lb bag 56 bags / skid 75 sf/ bag Colors: Beige, Slate Grey. Advanced Haze Free Technology. Can be used for joints up to a maximum of 1 inch (2.5 cm) and its fine gradation allows use in even the tightest joints. 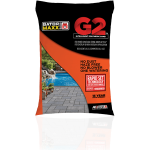 Fast setting: Product sets within one hour after application of water. 35 lb bag Colors: Beige, Black Diamond, Ivory, Slate Grey. 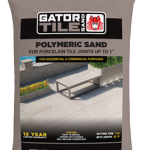 Gator Tile Sand is a unique mixture of polymer binders and calibrated sand. 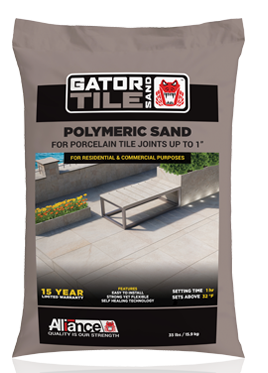 Once Gator Tile Sand sets, it becomes very firm and locks between the tile joints while still retaining flexibility and providing a long lasting, durable jointing material. 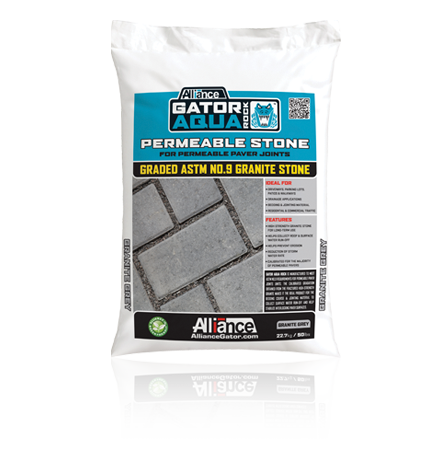 It is not for use with porcelain tile laid directly on concrete, or directly on an aggregate or sand base or bed. 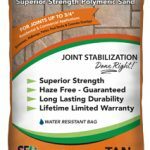 50 lb bag 56 bags / skid Colors: Tan & Gray. 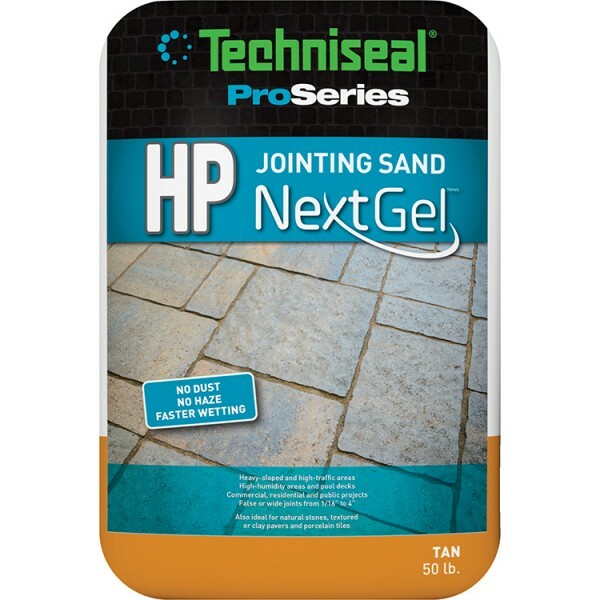 Angular jointing sand, recommended for joints up to ¾”, washed, screened & dried. 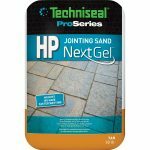 Ideal for use with SEK Surebond joint stablizing sealers. 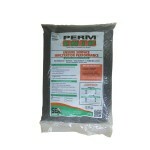 50 lb bag 56 bags / skid Colors: Eclipse Black, Saturn Tan or Stormy Grey. 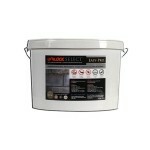 Also available in 2,200 lb SuperSack Bags. 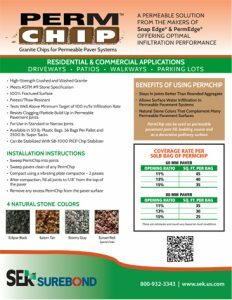 Perm Chip is the perfect choice for permeable paving stone installations, both as a bedding course and as a joint filler. It is a granite aggregate that is an extremely hard material and easily withstands the rigors of freeze/thaw cycles. It will not break down, helping to control runoff for years to come. 50 lb bag 56 bags / skid Color: Grey. 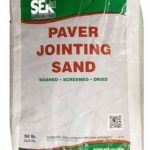 For joints up to 3/4". 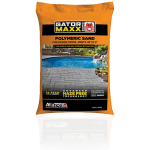 PolySweep polymeric sand is a blend of native sands and high quality synthetic polymers specially formulated to allow the joints to expand and contract with elements such as extreme heat, extreme cold and freeze/thaw cycles. 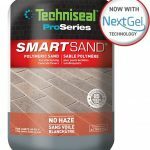 PolySweep is made with advanced Clear Set Technology which includes using native sands and the highest quality, clearest synthetic polymers. PolySweep’s formula also contains NO Portland Cement. That means, PolySweep will never leave a haze behind on the surface, and that’s a guarantee. 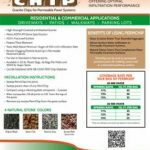 50 lb bag 56 bags / skid 75 sf/ bag Color: Grey. 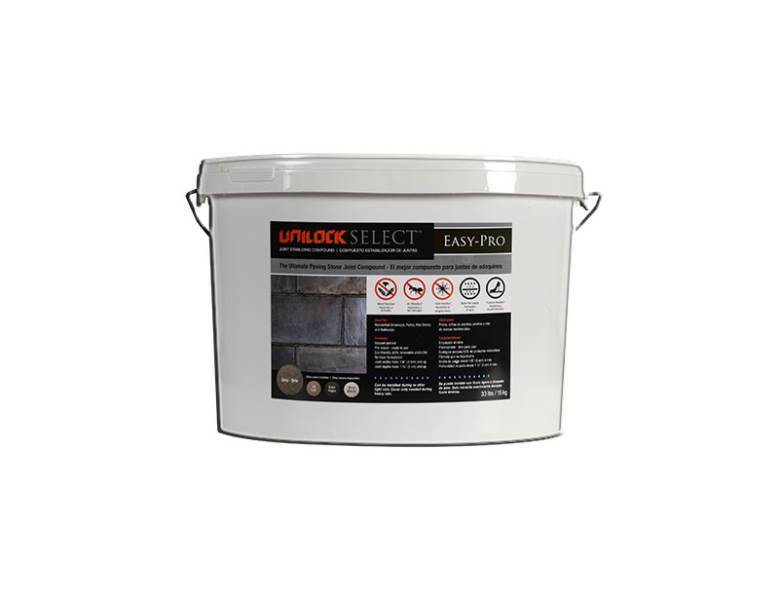 A special mix of graded sand and binder specifically formulated for achieving optimum lock-up of pavers or slabs by filling the joints between them. 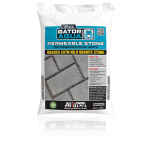 Unlike regular sweeping jointing sand, Polymeric Sand resists insect penetrations, weed growth and erosion. New formulation with half hour setting time. 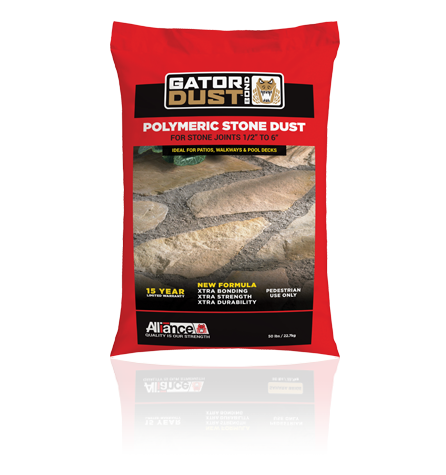 Coverage will vary depending on the tyhpe / size of stone used.